The Last Story (ラストストーリー, Rasuto Sutōrī?) is an action role-playing game developed by Mistwalker and AQ Interactive, and published by XSEED Games in North America and Nintendo in Japan and Europe for the Wii, and is a copyrighted property of Nintendo. 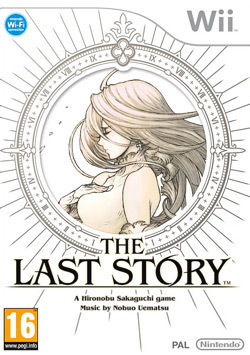 The game's name and logo have been noted to be very similar to the Final Fantasy series, which was created by Mistwalker's head, Hironobu Sakaguchi. This page was last edited on 3 May 2014, at 19:02.